We are heading back to the museum world today with an interview with Kristen Shepherd of the Los Angeles County Museum of Art (LACMA). Kristen is a great example of how people with a passion for the arts can open up many career paths by acquiring solid business knowledge and experience. She is also the only person I know who studied astronomy in college. I am the head of the Audience Strategy and Services group at the Los Angeles County Museum of Art (LACMA). I oversee about 40 staff members in Marketing, Membership, On-Site Services, and Data Analytics, as well as our volunteer corps. Together we attract and welcome more than 1.3 million visitors a year and are responsible for $12 million in revenue for the museum. I was born in Orange County, California, but we moved a couple of times in my growing up years--first to Edmond, Oklahoma and then to Clearwater, Florida. I moved to Washington, DC to attend college and grad school at the George Washington University, where I studied art history and astronomy. I lived and worked in New York City for 16 years before returning to my roots here in L.A. I live in the La Brea-Hancock Park area of Los Angeles, quite close to the museum. 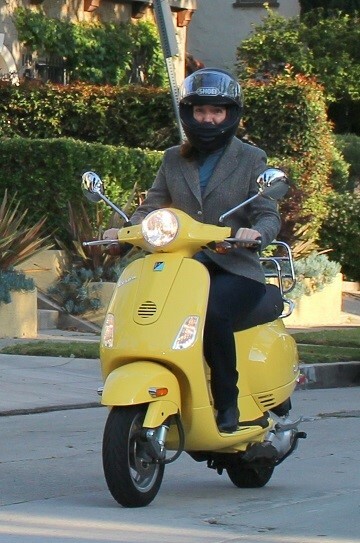 It's a dream commute, which I sometimes do on my bright yellow Vespa! As much as I love NY, it took me about five minutes to adjust to living in L.A.! It's got gorgeous weather all year, friendly people, a great art scene, and a town full of people who share my lifelong love of the Los Angeles Dodgers. How did you get your job? Where did you work before LACMA? I worked at Sotheby's in New York and London doing finance and special projects for 10 years before shifting gears and moving into the museum world. I accepted a position as the Director of Membership and Annual Fund at the Whitney Museum of American Art in the fall of 2008. Not the best timing perhaps, since the financial crash hit nonprofit fundraising pretty hard. It was my first museum job, and I was leading a membership department just as museum membership everywhere declined across the board. I was brand new to the field and didn't really know my limitations, so I just went for it. 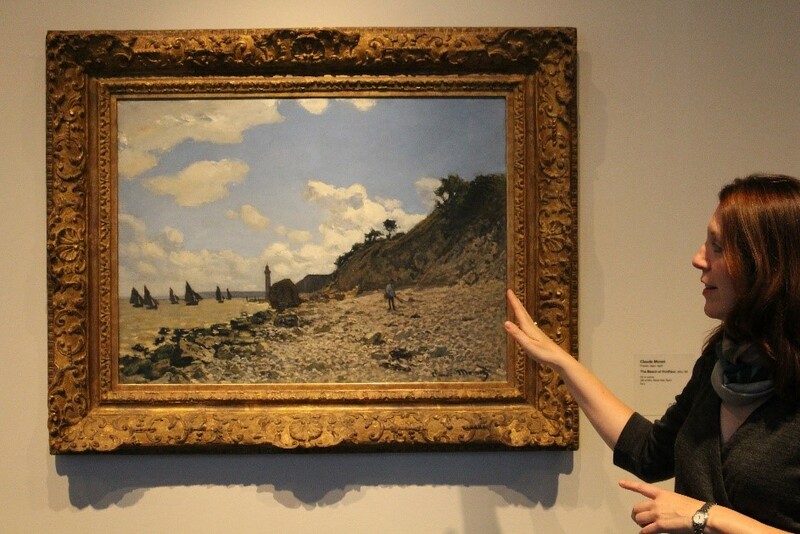 I took the marketing and business experience from my time at Sotheby's and tried something new. I fielded an audience research study and developed a program with benefits based on people's interests, with the thought that they would continue to support the museum if the membership experience were more tailored and relevant to them personally. We launched Curate Your Own Membership in 2010, and it was a truly innovative program in the industry. It was an immediate success and got a lot of attention. I met my future boss from LACMA when she came to hear me speak about the program at a conference. LACMA hired me a couple of years later. The first task at LACMA was to revitalize the membership program, to create something new that was right for Los Angeles. After doing audience research we learned that there was a real yearning for a sense of community among Angelenos, and a desire for LACMA to help connect people to each other. We launched LACMA Local earlier this year, and it has been incredibly popular so far. Locals meet every other Saturday for fun, art-inspired events that are designed to help them connect and make new friends. In a diverse and geographically disparate city like Los Angeles, we are helping to bring people together. Week after week, we see those friendships forming across all demographic boundaries. It’s pretty exciting. Right out of grad school, I would never have imagined the path my career in the arts has taken. I have been really fortunate to have had great bosses who let me try new things and stretch. Museums are very collaborative environments, so a typical day for me always includes lots of meetings! I meet with my staff and other colleagues to set goals, track progress on projects and campaigns, and talk through visitor experience issues--everything from how we ticket exhibitions, to what messages people see on campus, to planning members-only events. Each year LACMA presents about 40 exhibitions and offers 2,100 different tours, lectures, performances, films, and concerts. My team promotes and supports all that programming, and is also responsible for some of the fundraising that makes it all possible -- so there is a lot for us to do! We want the art experience to be primary and seamless for our audience, and to do that, a lot of planning and work happens behind the scenes. We collaborate with almost every department across the museum. Some projects are low impact, but others, like Random International's Rain Room, are relentless. It's been the hottest ticket in LA for months and my team manages the ticket sales, customer service, and also the on-site experience – literally, walking people into the rain. In addition to the daytime operations, we host member events after hours and on weekends, and I am often on hand to welcome members. The museum operation runs seven days a week, so I am always on call. LACMA has one of the best Snapchats out there! How did that come about? Thanks! LACMA was the first museum to join Snapchat and we just won the Webby for social media. 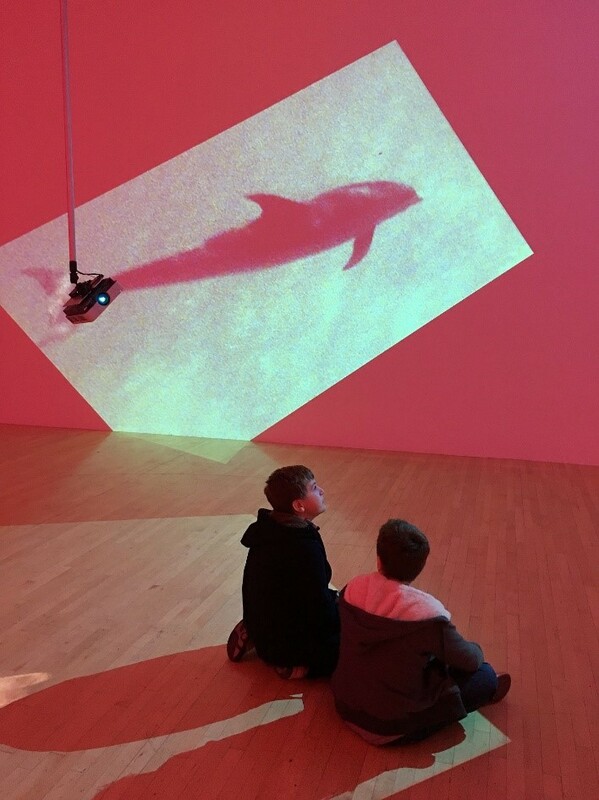 We are lucky to work in an environment where experimentation is welcomed and encouraged, and social media platforms like Snapchat give us the opportunity speak about the museum in new ways and reach wide-ranging audiences. Social serves an important marketing and communications function for us. Between social and our excellent websites, we are engaging audiences and scholars from all over the world. What are your three favorite pieces of art? It is very hard to choose only three! Let me think. At LACMA, I love this very quiet Blue Period Picasso called 'Woman with Blue Veil'. I am also loving the exhibition of Agnes Martin's work currently on view. Austere and complex. Outside of LACMA, Bernini's Apollo and Daphne is a longtime favorite, as well as Rossetti's rich and gorgeous Proserpine. I am also a great lover of Hellenistic sculpture and am fascinated by works of the ancient Near East. The destruction of World Heritage sites in Syria and Iraq by ISIS is breaking my heart. I am so grateful to the artists and archaeologists who are risking their lives to protect and hide these works of art, and to those who are defiantly recreating ancient monuments using 3-D printers. Wonderful. So I guess I am all over the place: Ancient art, decadent Pre-Raphaelite painting, contemporary minimalist. I just respond to beauty, which takes so many forms. In addition to LACMA, what are your three favorite museums? I'm inspired by travel and by objects and images that capture the imagination and transport you to another time and place. No wonder I work in a museum! I love to travel and am happiest when I am planning a trip or exploring a new place. One of the great pleasures in my life is rediscovering the world and works of art through my children's eyes. My sons, Arthur and Henry, are keen observers of the world around them. 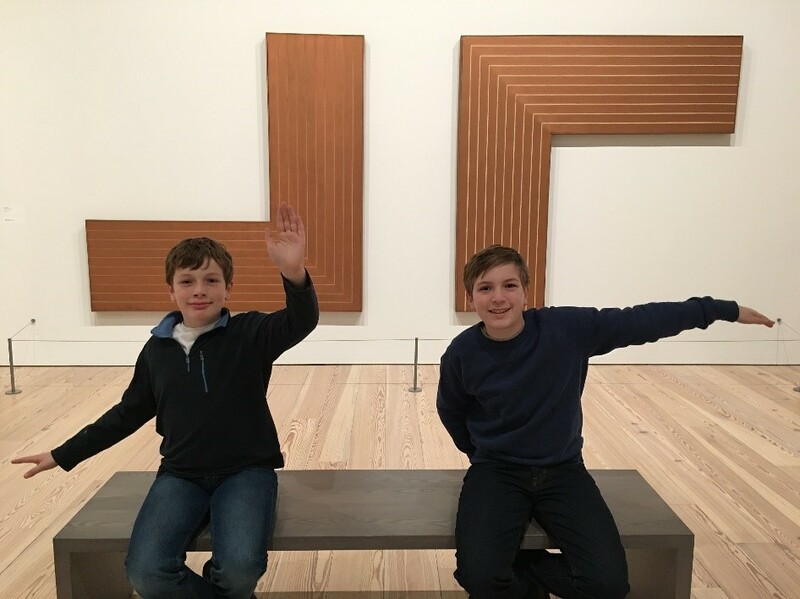 As they grow I get to introduce them to great artworks and museums, national parks and world heritage sites, and places that will spark their imaginations. They are truly my inspiration points. What tips would you offer people who want to work in the museum world? Internships are a great way in -- I love hiring former interns. Unless you want a purely curatorial role, I have found that having experience in a business environment as well as in the arts is helpful. It allows me to be the bridge between curatorial vision and financial realities. No matter what your plan is, be open to opportunities and do your best (with a great attitude) at every job you get. You never know where it will lead and what skills you will acquire that will inform your next step. Bring your enthusiasm and professionalism to work every day. The most interesting journeys are not in a straight line; it's OK (and even desirable) to take the long way sometimes. The view is better. You can follow Kristen on Facebook. You can also check out LACMA on Snapchat (which I highly recommend! ), and also follow them on Instagram and Twitter. * All photos courtesy of Kristen Shepherd.